The pilot livelihood and joint project of Goldilocks Foundation and ABS-CBN Lingkod Kapamilya Foundation, Inc. and in cooperation with Nutrition Center of the Philippines and Department of Education launched on August 28, 2017 at Masaguitsit National High School, Lobo, Batangas. The Kabuhayan Bakery will cater the various bread and pastry needs of the private and public schools within Lobo, Batangas as well as the residents in nearby areas. This will also eventually offer cakes and other bakery items through the assistance and training that will be provided by Goldilocks Foundation. This will be operated by combined personnel from the School and People’s Organization in Lobo who were recently trained by experts from NCP. Honda Philippines also donated one (1) unit of Motorcycle that will serve as a mobile bakery in reaching far flung barangays to also benefit with the Kabuhayan bakery products. 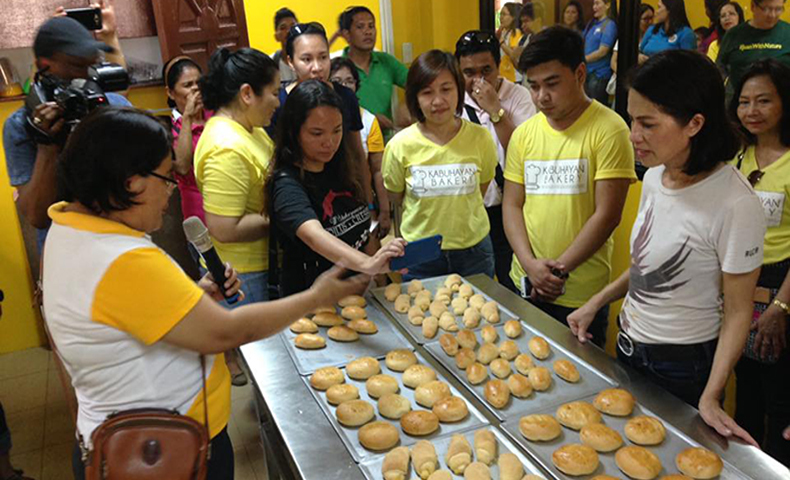 Epifania de Torres, Operations In-Charge, Management Committee of Goldilock's Kabuhayan Bakery shows the breads created to Gina Lopez, the host of G Diaries, together with Goldilock's officers headed by Eloisa Lacap, Marketing Manager of Goldilocks and Jen Santos, Bantay Kalikasan's Program Director. Four other Bantay Kalikasan Eco-tourism sites namely Sorsogon, Samar, Saranggani and Zambales are also lined up for the setting up of the Kabuhayan bakery. Hopefully this will trickle in all the other areas situated in various parts of Luzon, Visayas and Mindanao. This only shows that through the collective efforts and coming together of different stakeholders “Maipapasa ang Pag-asa” all throughout the Philippines.